As usual the beaches are full! Anglers are anxious to get good fishing spots super early in the morning. 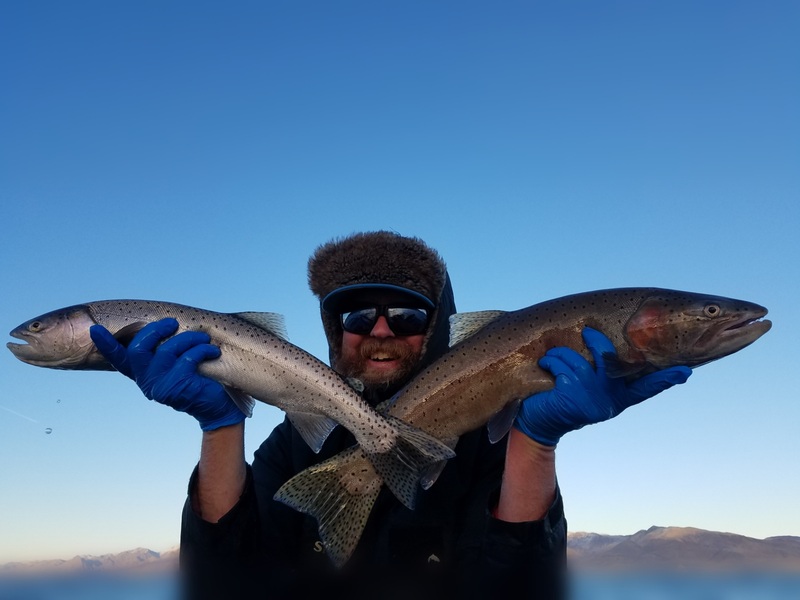 Crosby Lodge is pretty much booked up, and the nightly dinner specials are in full swing. The fishing is good! 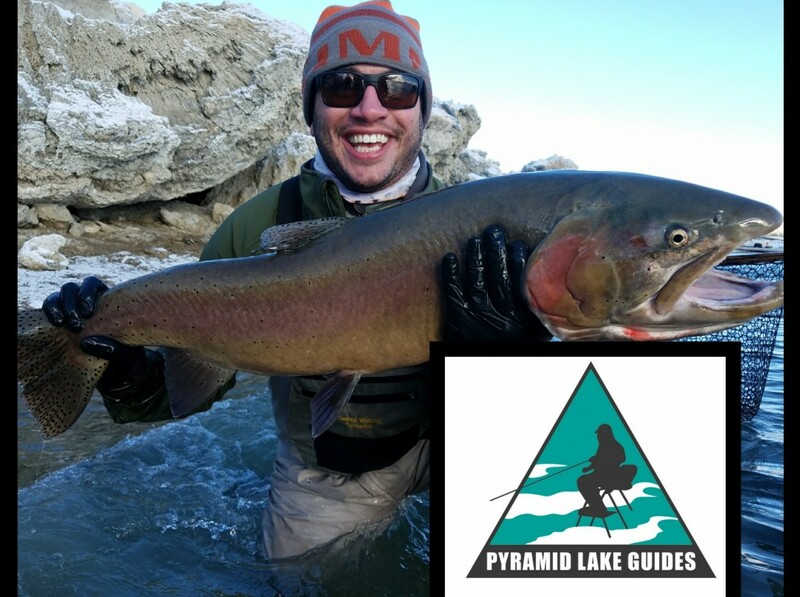 We are headed into spring and the temps are ideal for fishing Pyramid. 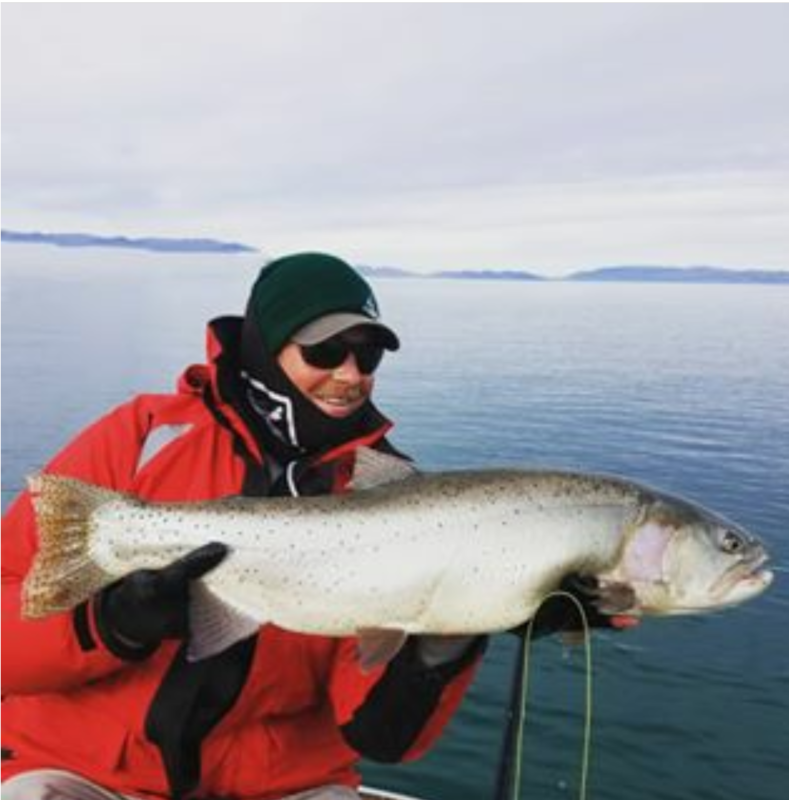 We’ve seen some quality fish lately! We had a great day out on Pyramid with the crew from Tahoe Resources. Most of the group came in from Canada and had their first experience with fly fishing. 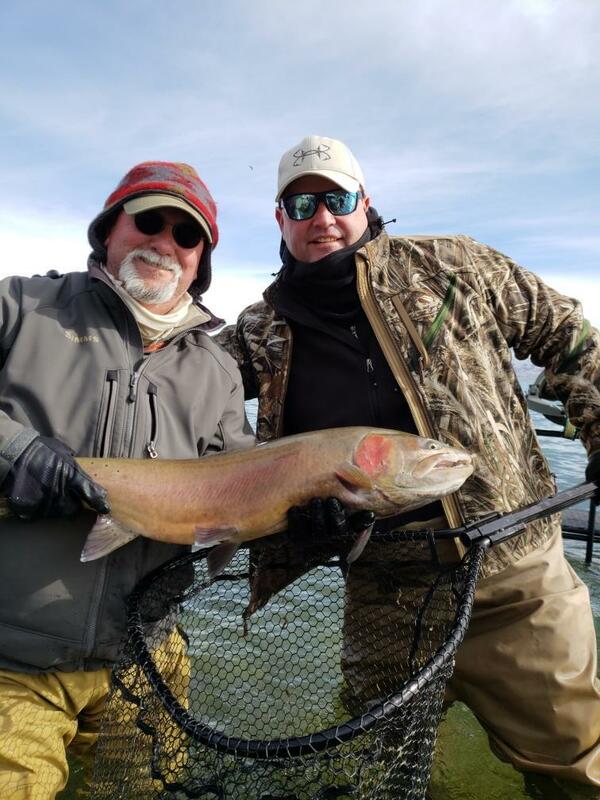 We had a few 10 pounders to the net! Van and Hutch out from Boise had a great couple of days on Pyramid Lake, NV! 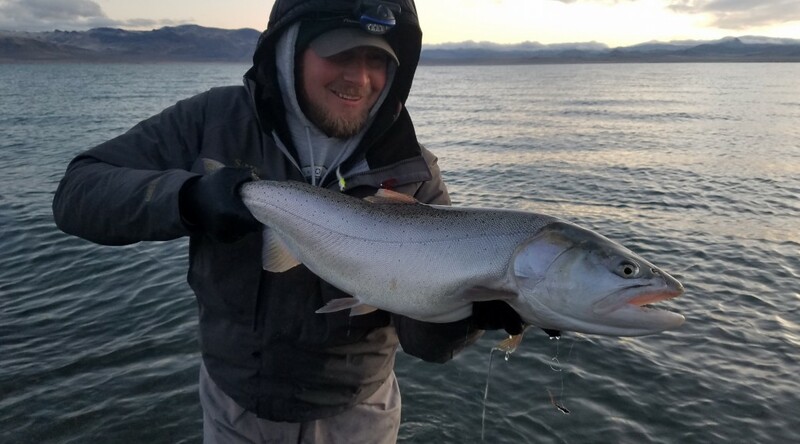 We are starting to see spring conditions for fishing the alkaline lake. 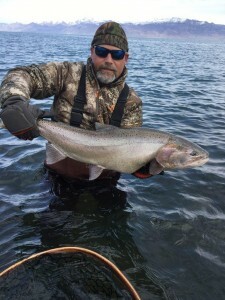 Streamer and indicator techniques are both producing; pick your poison! 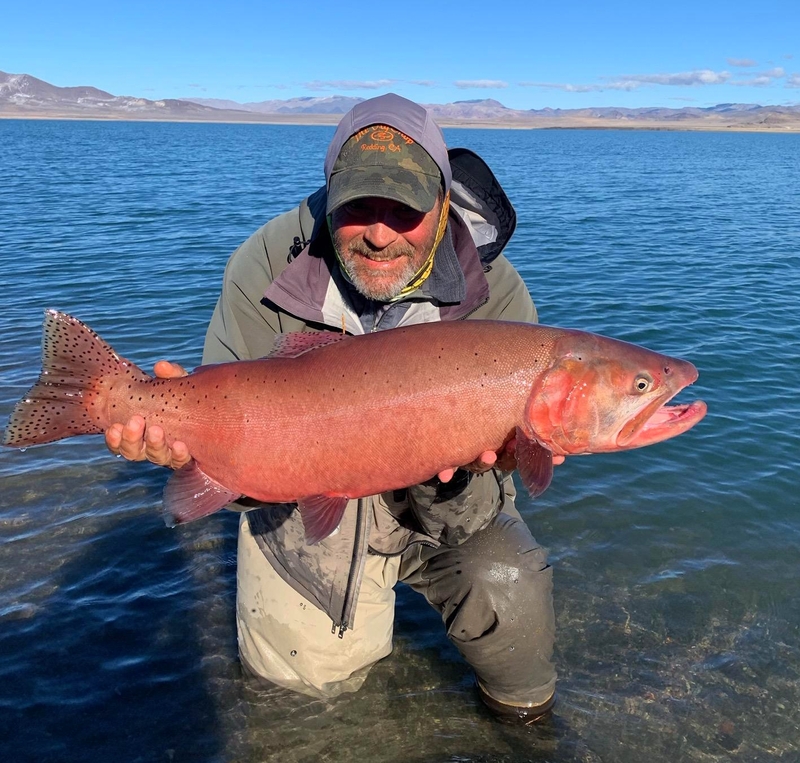 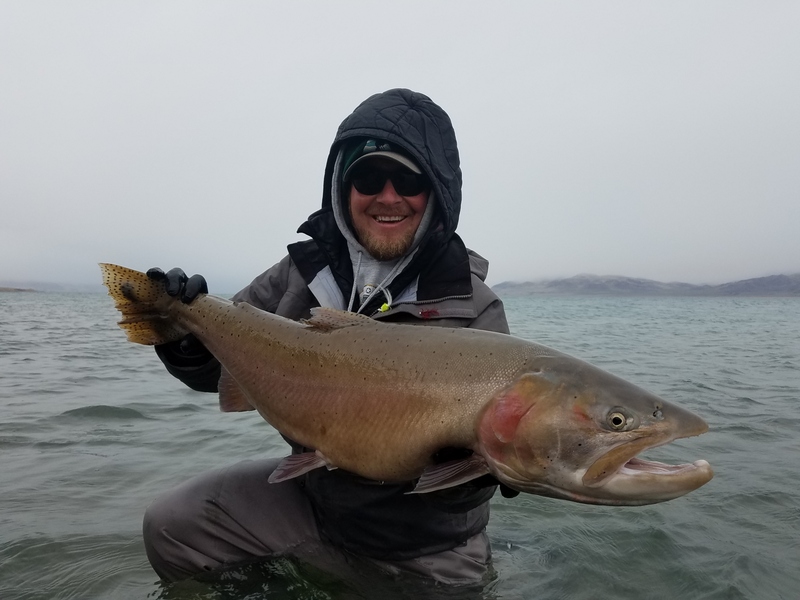 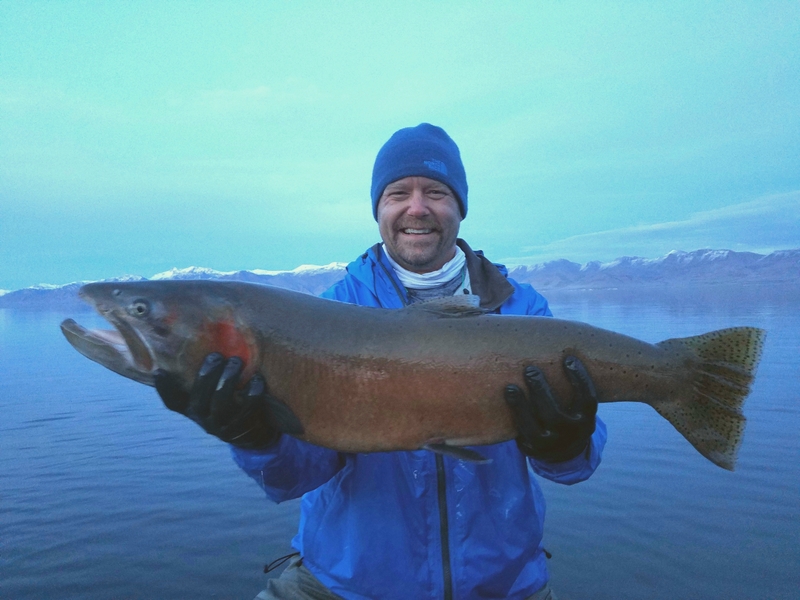 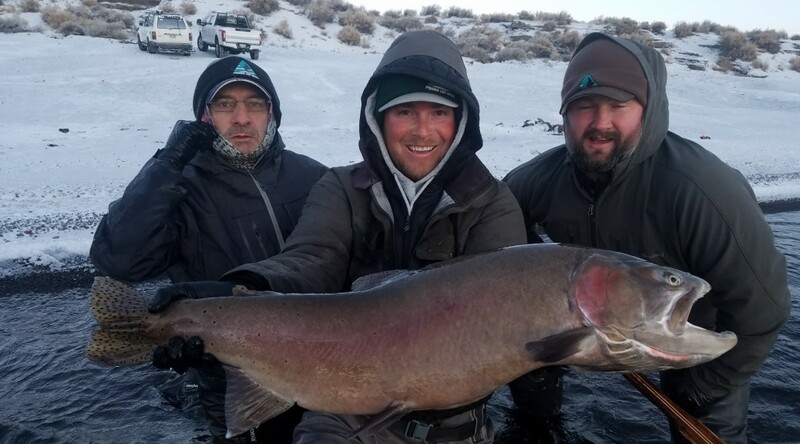 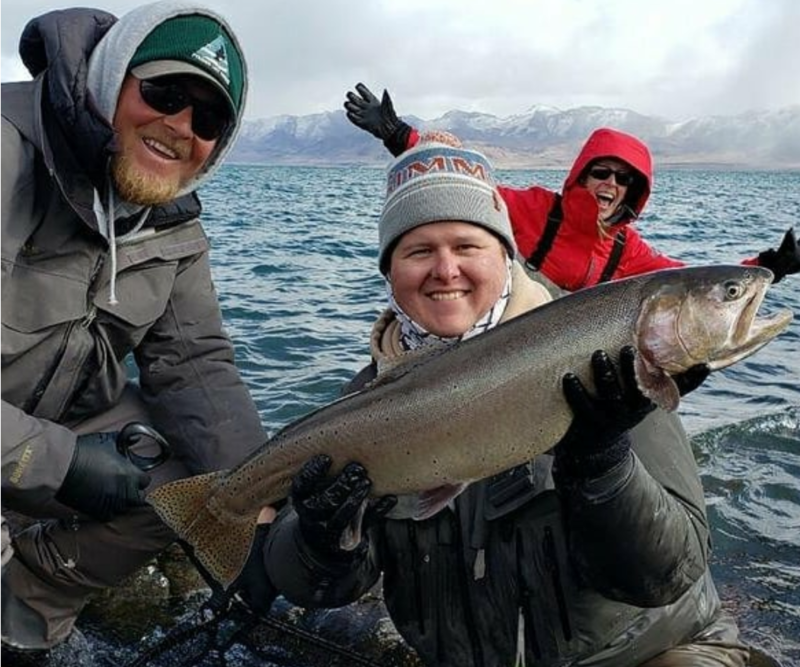 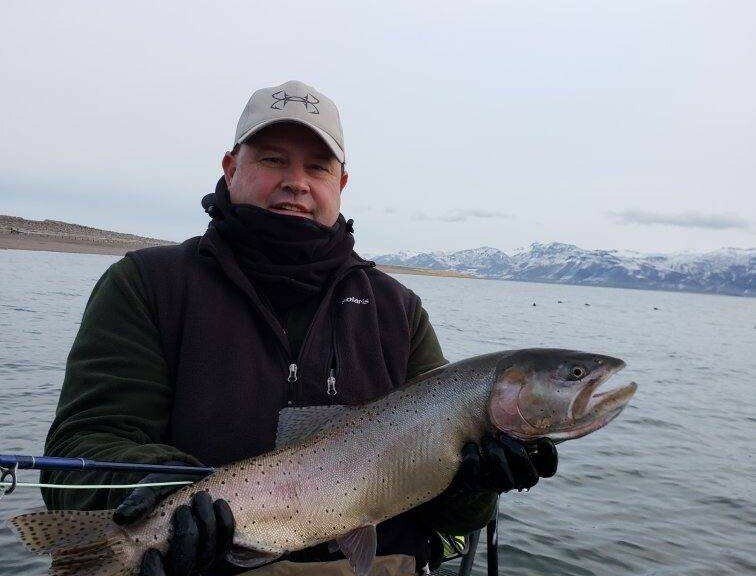 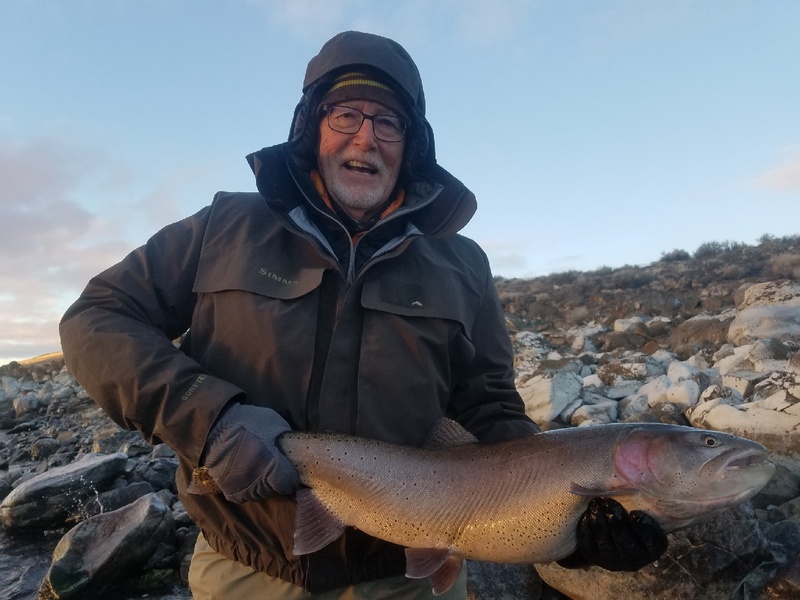 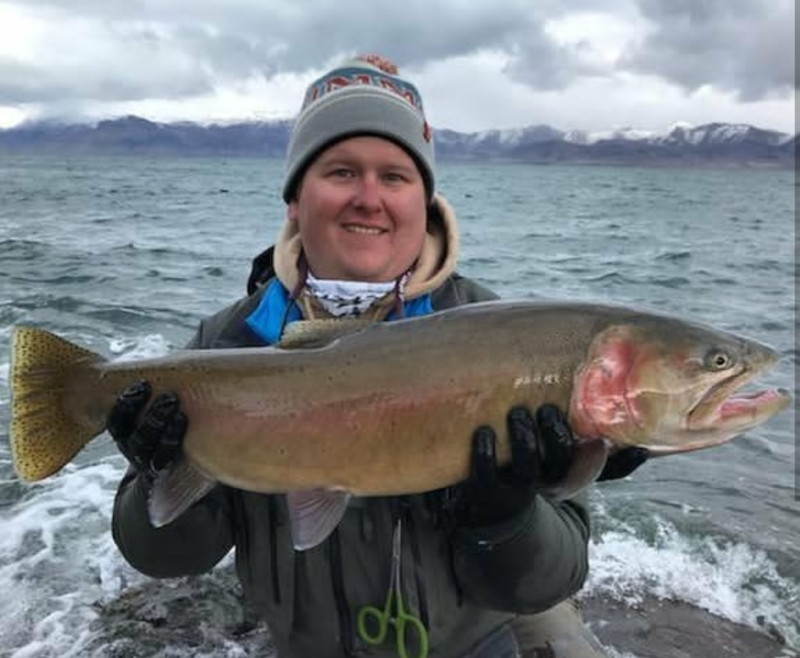 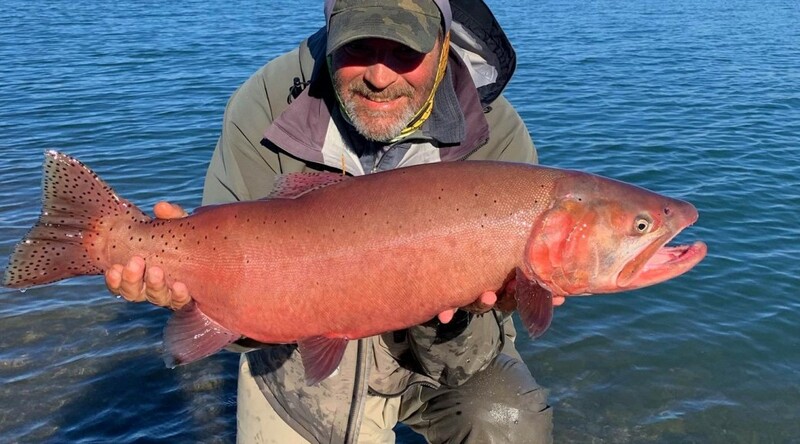 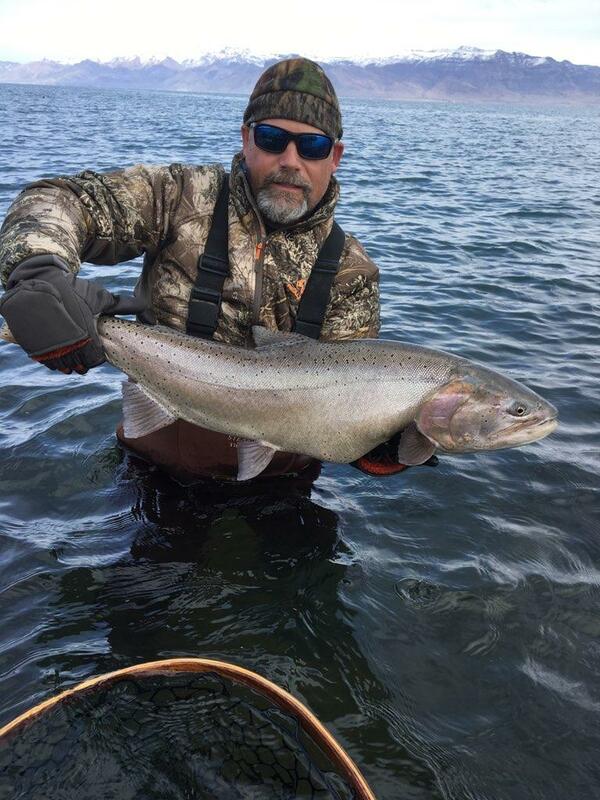 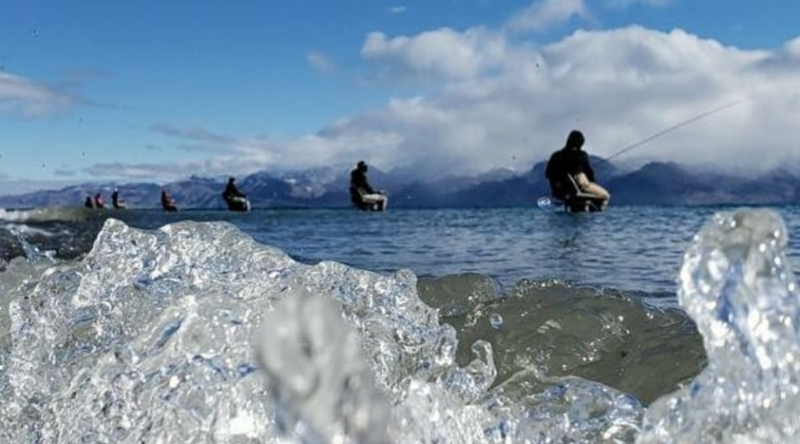 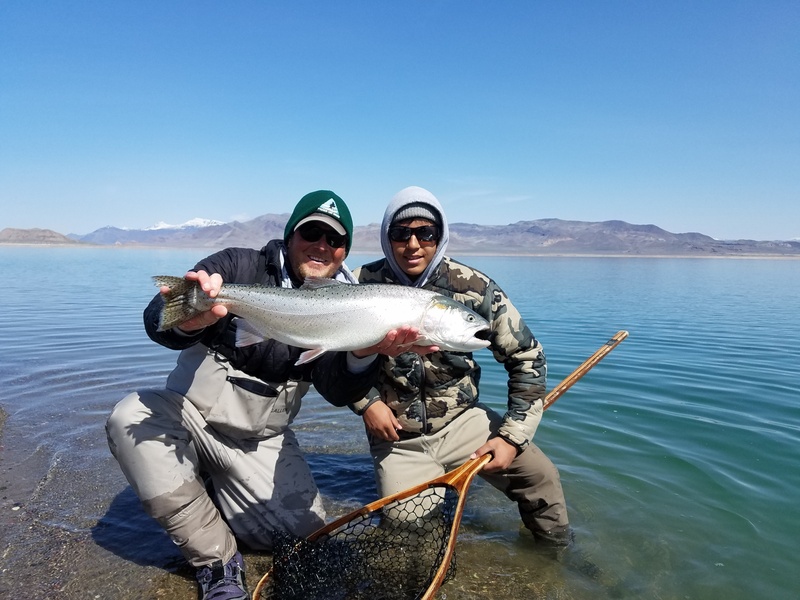 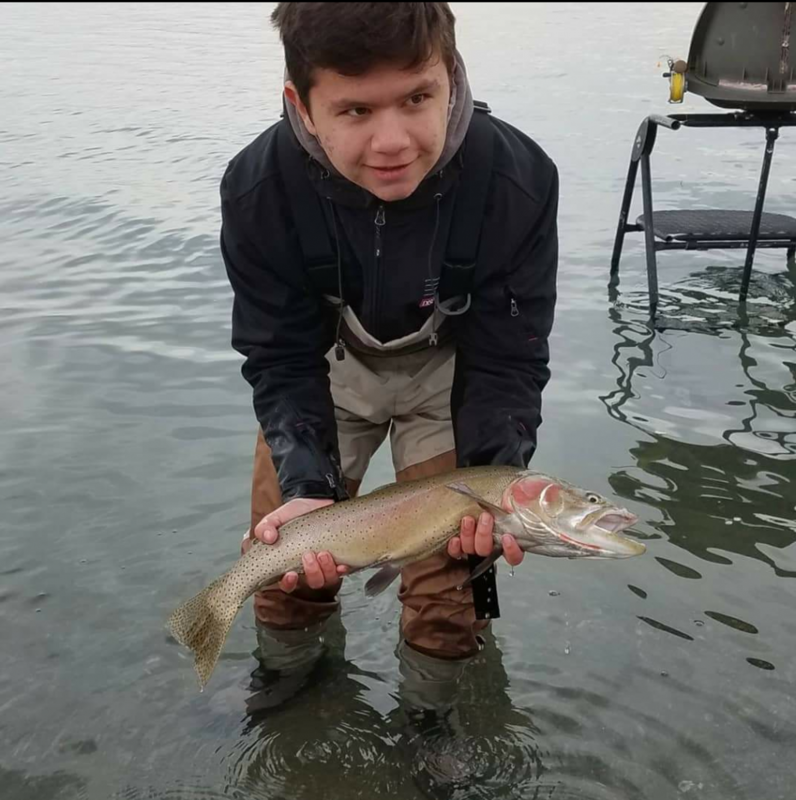 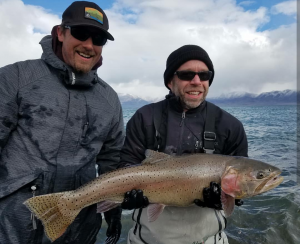 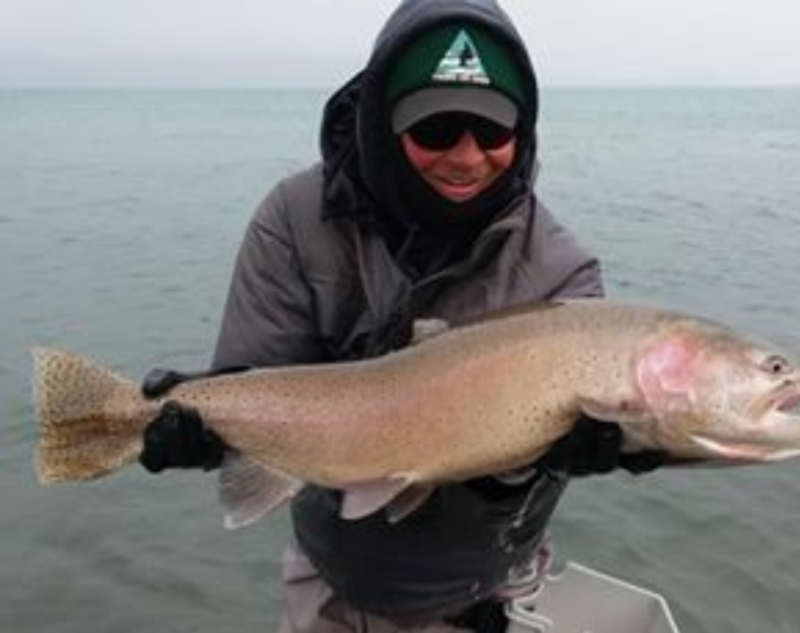 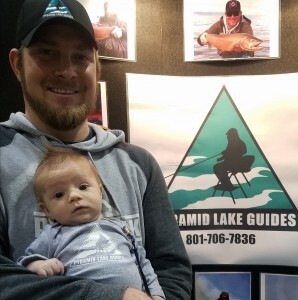 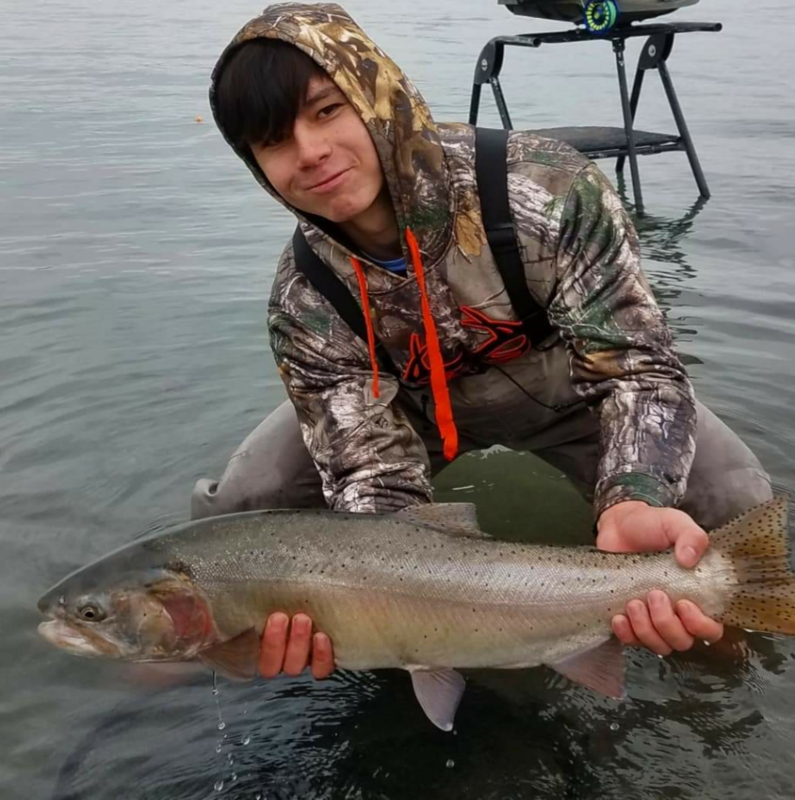 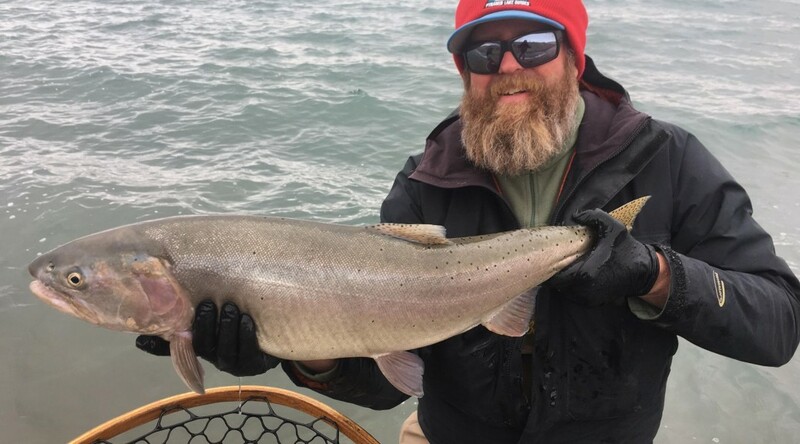 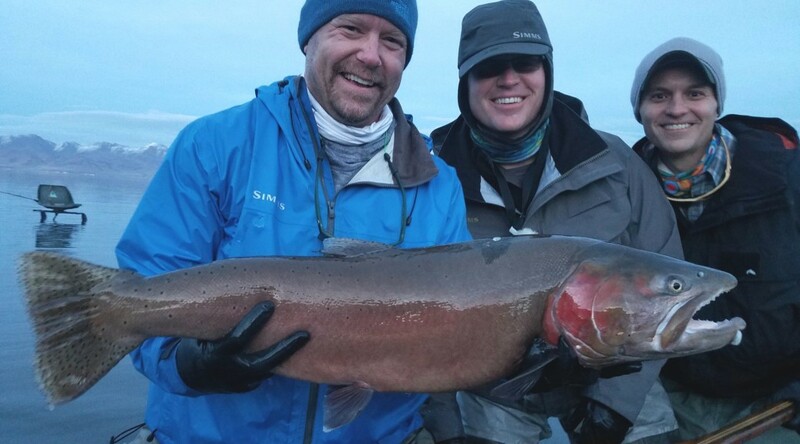 February fishing on Pyramid Lake has been similar to December and January, with quality in size being at the forefront rather than numbers; although when a storm blows in we do see the numbers jump up. It’s been cold so bundle up! 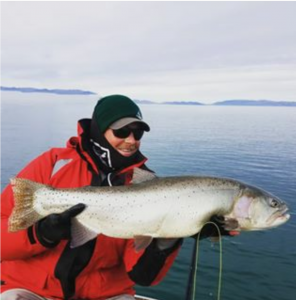 This January has fished well! In January 2018 we saw mild weather with warm temps making the fishing slow. 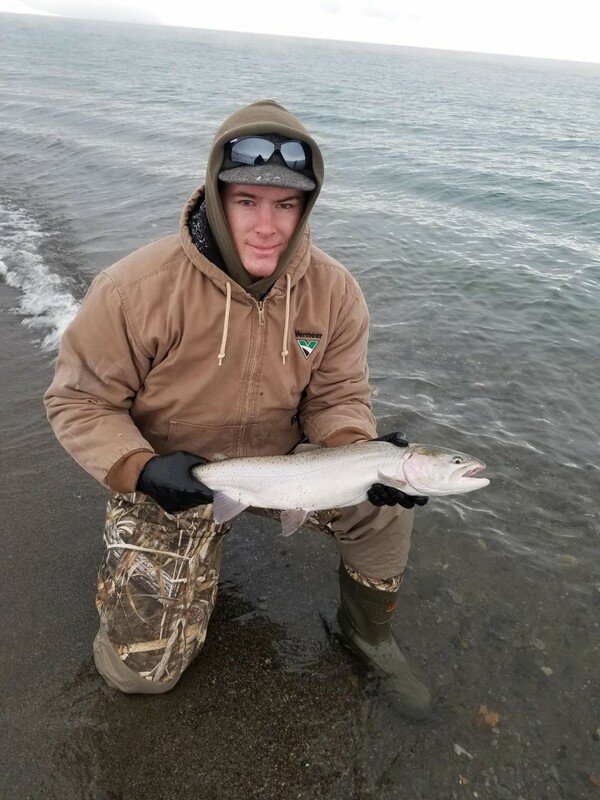 January 2017 we had flooding resulting in lake closure for 6 weeks. 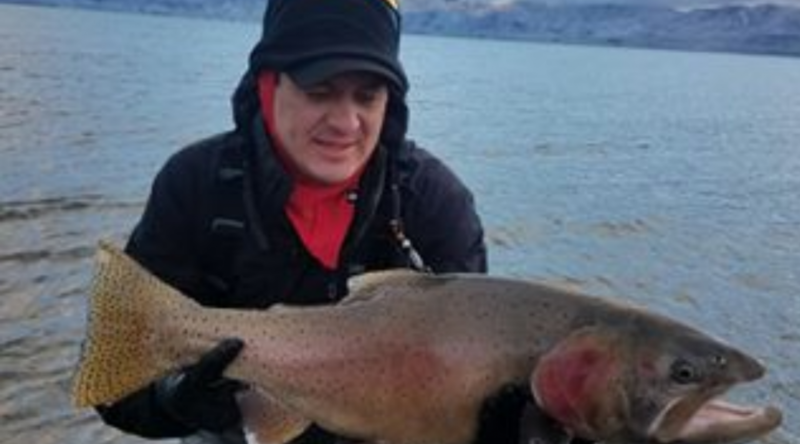 This year the storms have been consistent making for decent fishing. 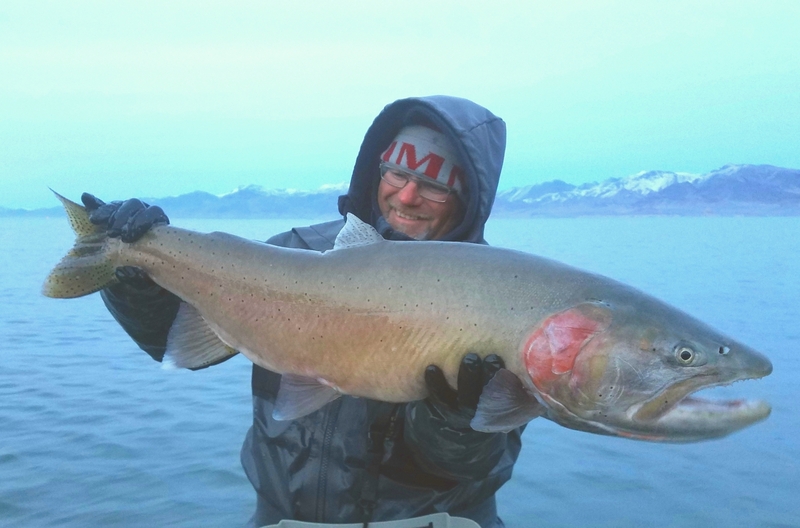 Similar to December daily numbers are not at their highest but quality by means of size make up for it; big fish are being caught. 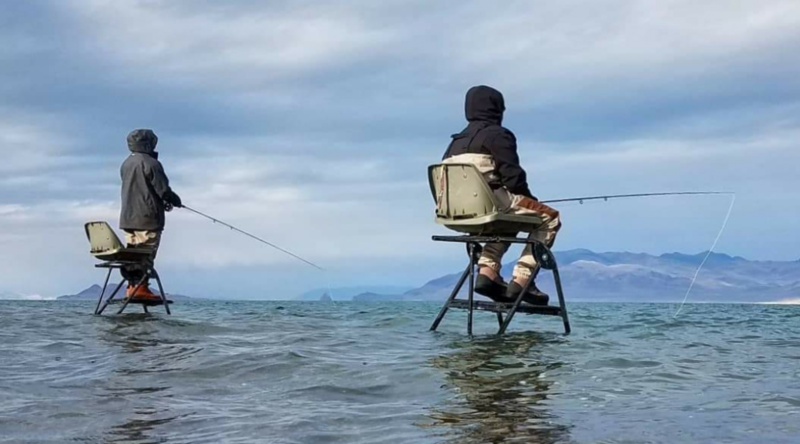 Follow the storms! Water temps are consistently dropping, heading towards the coldest part of the season. The fishing is good for big fish, numbers are not typically high during December but when anglers do get one to the net it’s typically good quality by means of size. 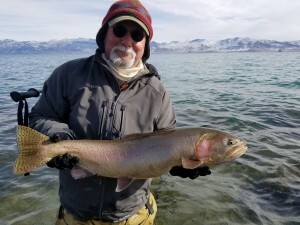 Indicator fishing has been more productive than stripping. 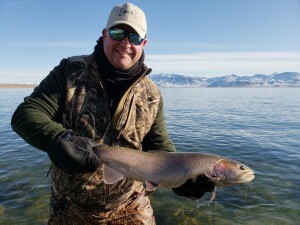 It appears that the best time to fish right now is during the warmest of the day, noon to 3-ish. 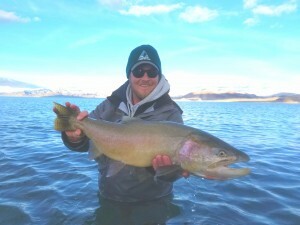 Anglers Nick and Shawn landed some decent fish this week! 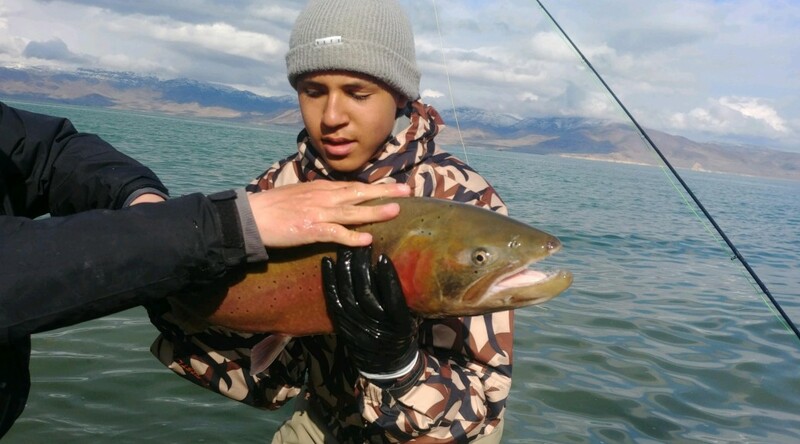 As did Utah guide Wade Isaman. 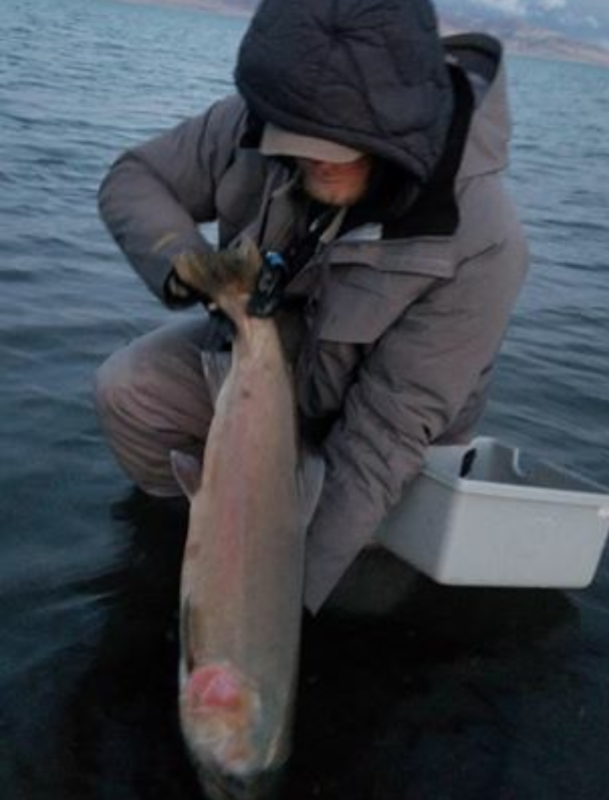 The weather is supposed to be mild for a few days, let’s hope for more storms soon! 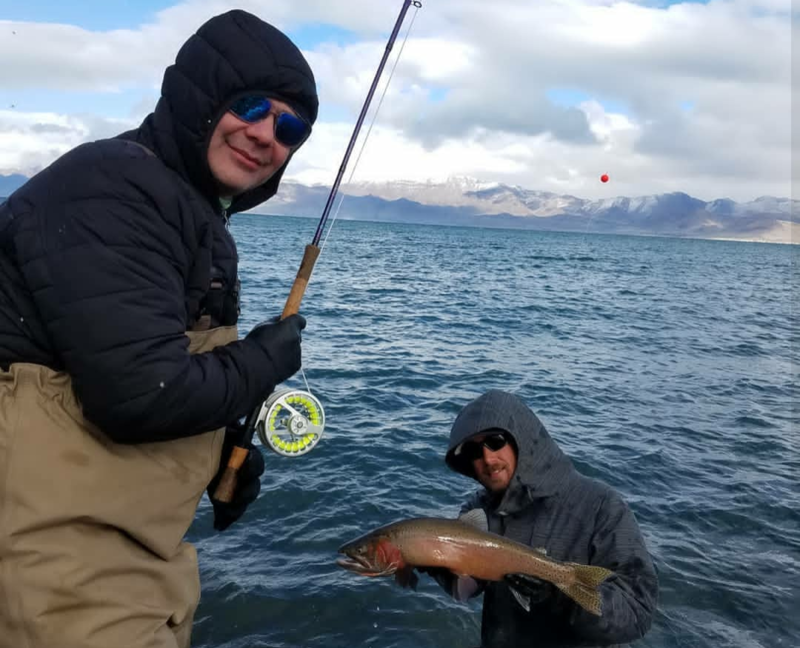 Water temps have dropped and the shore fishing has turned on. 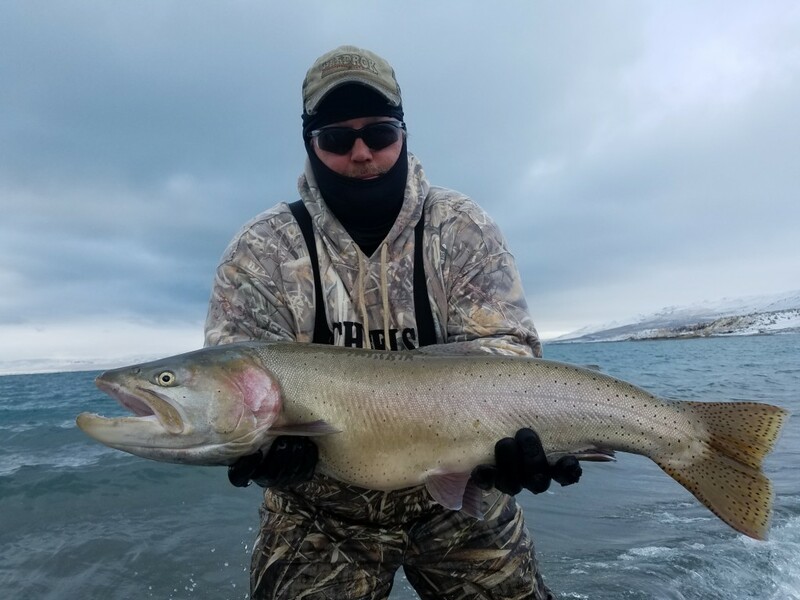 December should be good! 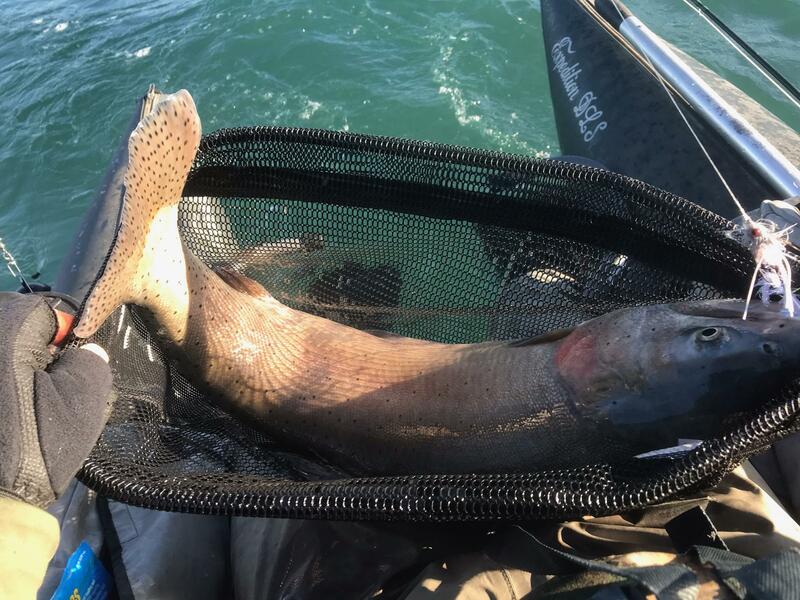 Angler Curt Peterson sent us some great pics of his pontoon trip from last weekend. 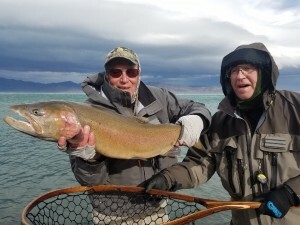 And the Chen family had a great day with us on the water yesterday, with Guide Bill Kitchen. Happy Thanksgiving!